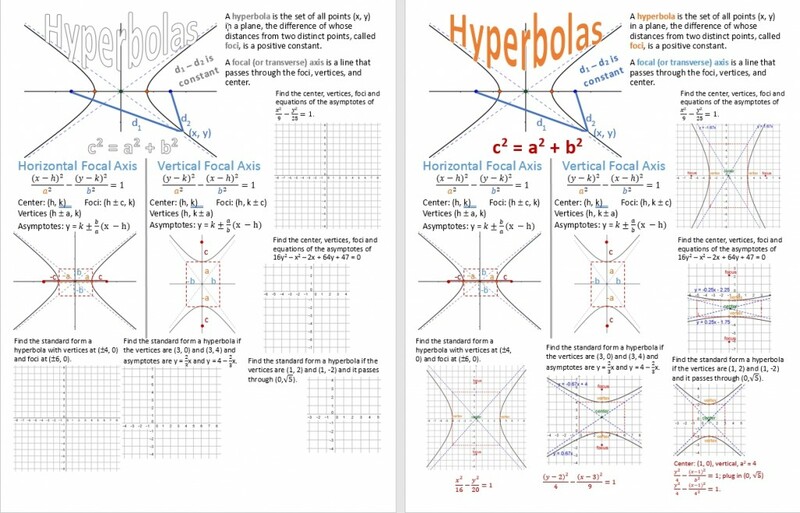 It’s conic section time in Pre-Calculus. 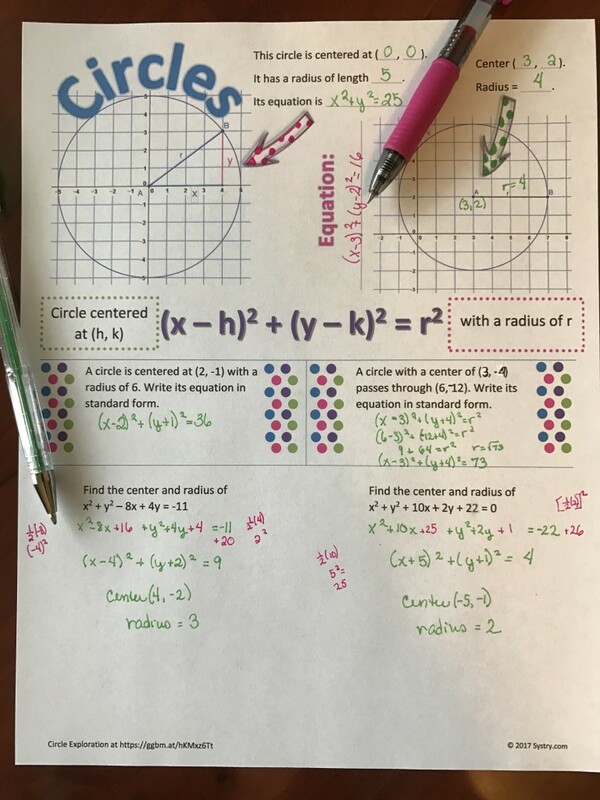 Learning from last year, I added a section on circles. I polled my students prior to spring break and they didn’t recall the equation of a circle in standard form. 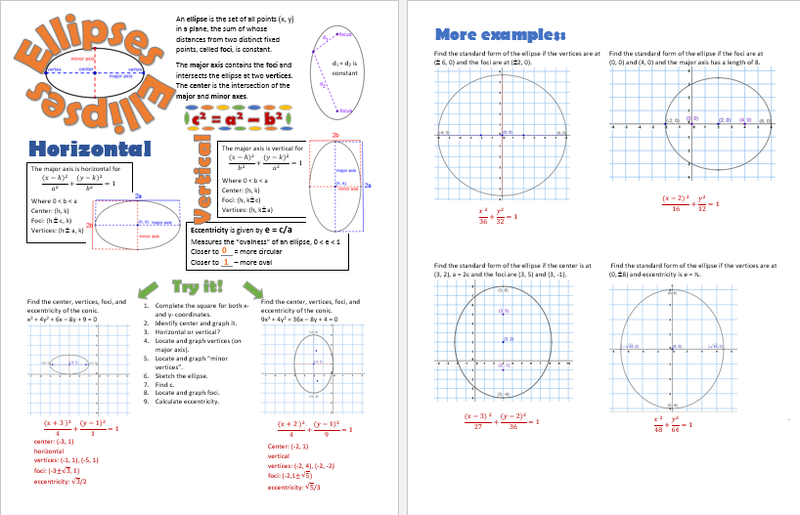 To dust off the rust and get into completing the square mode, I created some Vizual Notes and a worksheet on circles. They were well received. 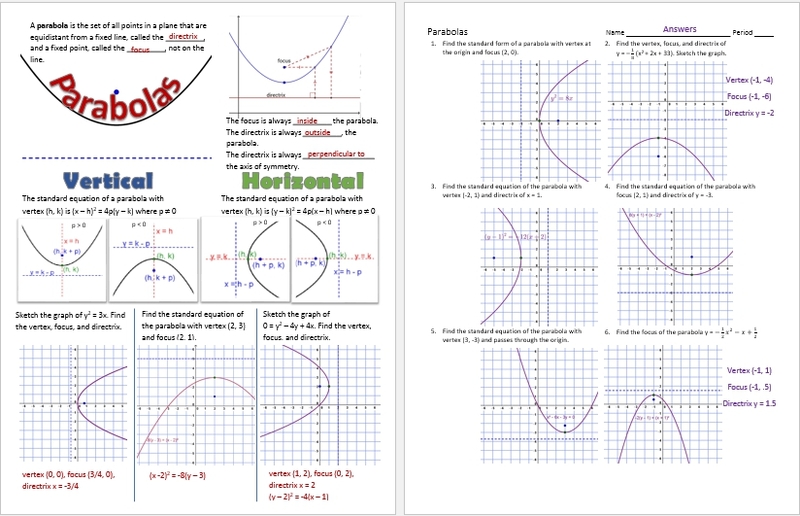 When I gave them the parabola Vizual Notes the next day, I heard the excitement in a couple of students voices. The introduction to parabolas went well too. The Vizual Notes sheets give my students more time to process the information since they aren’t frantically copying what’s on the board. 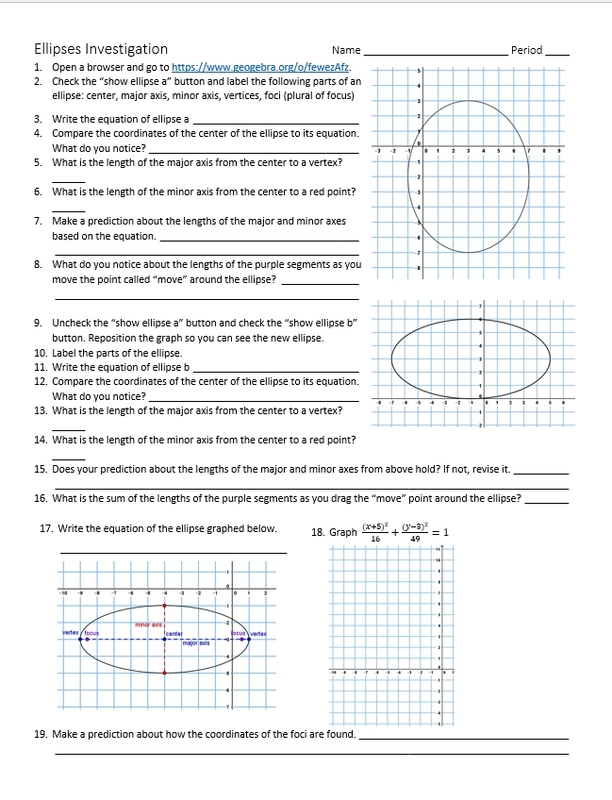 Here’s an Ellipse Investigation that I used with my students regarding key vocabulary and concepts about ellipses. They discovered that the sum of the distances between the ellipse and the foci is the length of the major axis.